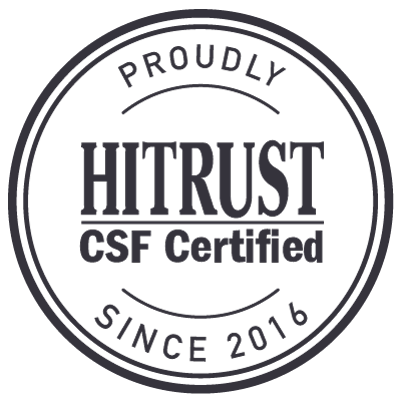 In 2013, legislation was enacted within the Health Insurance Portability and Accountability Act (HIPAA) that introduced regulations relating to secure texting for healthcare services. These new regulations stipulated that controls had to be implemented to control the integrity of electronic protected healthcare information (ePHI) when it was at rest and in transit. The legislation effectively put an end to unsecure channels of communication such as SMS and email, and raised the question of how healthcare services can text securely, while retaining the speed and convenience of mobile technology. In order to comply with the revised HIPAA regulations, many healthcare services have implemented secure text messaging solutions. Secure text messaging solutions resolve an important IT concern for healthcare services – the use and encouragement of Bring Your Own Device (BOYD) policies. It is estimated that more than 80% of medical professionals use their personal mobile devices to access and communicate ePHI and therefore the selected secure messaging solution has to work across all devices and operating systems. To best demonstrate how secure texting for healthcare services works, we would suggest an illustration involving a smaller healthcare service in which medical professionals access encrypted ePHI by using a secure text messaging app downloaded onto their mobile device or desktop computer. After medical professionals identify themselves with a unique login and PIN code, the secure text messaging app connects medical professionals to others within the designated, and private, hospital network. Medical professionals can send and receive secure text messages from their mobile devices or desktop computer to other authorized users within the same private network. 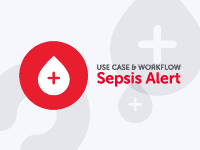 Patient files, images and lab results can be shared securely when attaching them to a secure text message and multiple parties can join existing discussion threads to collaborate on healthcare issues. The platform has administrative controls to further ensure HIPAA compliance. Administrative controls exist to assign message lifespans so that messages are deleted and archived automatically, remotely retract and delete messages, time out an authorized user´s mobile device if it has been inactive for a period of time, and remove a user from the private network if their mobile device is lost or stolen. If this brief explanation is expanded to account for healthcare services that operate in the community or in multiple locations, it is not difficult to visualize how healthcare services can text securely. The logistics of implementing a secure text messaging solution may be more complicated depending on the size of the organization, but the principle of secure texting for healthcare services remains the same. We would like to present some examples of how healthcare services text securely in real life scenarios. TigerText´s secure text messaging solution has been implemented in more than 4,000 medical facilities to comply with the revised HIPAA regulations with proven results. From our case studies we would like to demonstrate how secure texting for healthcare services accelerates communications, enhances workflows and enables medical professionals to dedicate more time to the care of their patients. TigerText was implemented at the El Rio Community Health Center in Tucson, Arizona in order to comply with HIPAA and improve communications between the organizations seventeen healthcare locations. The outcome of secure texting for the healthcare services was faster response times, enhanced patient care and improved message accountability. Houston Fertility Institute provides infertility treatment for couples from ten clinical offices and within twenty-five hospitals throughout Texas. 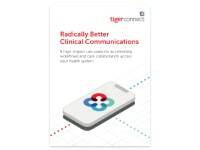 TigerConnect provided the Institute with a secure text messaging solution to comply with HIPAA which also reduced phone tag by 80% and increased scheduling accuracy by 20% – resulting in optimized patient care. Orange County Community Clinics had different requirements inasmuch as a lack of communications efficiency was responsible for long patient wait times. After the implementation of TigerText, wait times at the clinics were reduced by 50%, with further patient wait times saved at pharmacies due to doctors having the facility to correct prescription errors securely from their mobile phones. An upgrade that allows authorized users to receive message notifications through alternate channels of communication when they are out of range of a Wi-Fi or 3G signal. An improved message forwarding facility which enables medical professionals to securely engage in multi-party discussion threads and enhance the speed of collaboration. A new “is typing” feature advises those engaged in a discussion thread that a contributor is composing a reply. 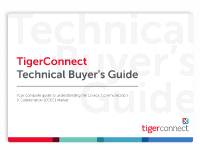 So confident are we that TigerConnect will never stagnate that we indemnify clients against fines resulting from violations of HIPAA´s technical safeguards up to $1 million. As many healthcare organizations will be aware, fines for repeated violations of HIPAA can have a significant impact on profitability. Implementing secure texting for healthcare services with TigerConnect significantly reduces the risk of a financial penalty for a breach of ePHI. Researching, evaluating, and selecting the most appropriate secure text messaging solution to enable secure texting for healthcare services is a time-consuming operation – especially when those conducting the research have little understanding of how secure text messaging solutions work or the experience of using one.